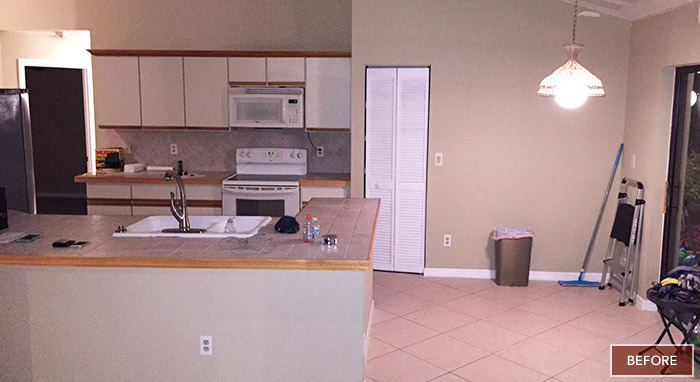 It didn't take homeowners Kristina and Sergio long to discover their kitchen wasn't living up to its potential. They’d been in their home less than a year before they realized this bland, inefficient room wasn't cutting it. With the help of Kabco Kitchens and designers Julie and Carlos Lehite, they took it from barely-able-to-turn-out-a-casual-supper to a splendid space custom designed for cooking and socializing. But, while it definitely feels event-worthy, it also functions as a comfortable place for hanging out with a cup of coffee and a best friend or a best seller. 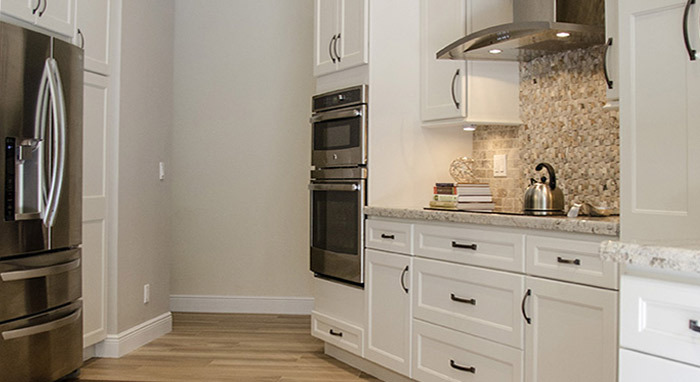 Homecrest Hershing cabinet doors in a French Vanilla finish modernize the space but keep the lines classic and clean. High ceilings give the room drama, while lighted cabinetry with glass door inserts adds warmth. 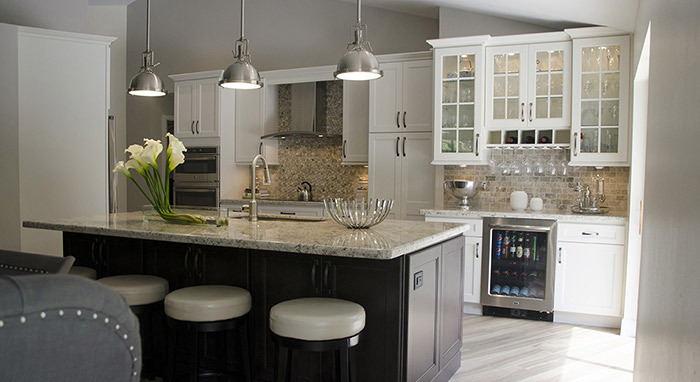 Add a grand island and a bar, and the kitchen becomes a hub for any number of meet-ups going from fun to functional with ease. 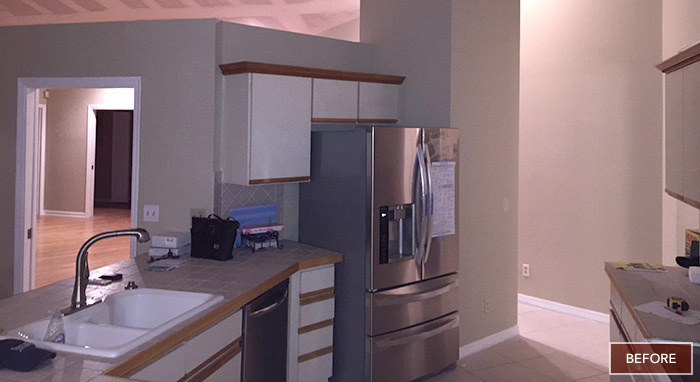 Kristina and Sergio had a vision and Kabco and Homecrest Cabinets helped them take it to the next level and beyond. 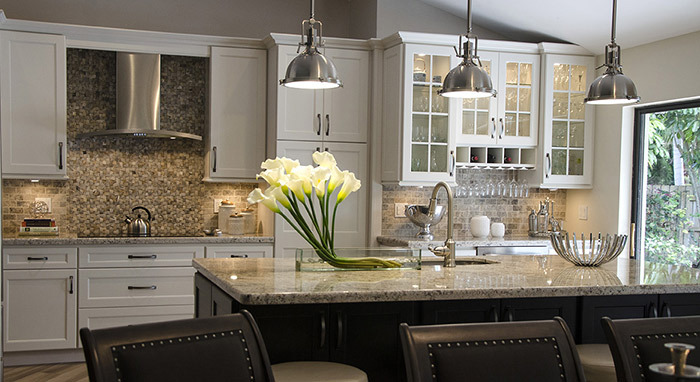 Now their stylish kitchen has set the bar high as they consider it the driving influence for remodeling the rest of their home. Well done. Trying to be patient as the whole process unfolded. 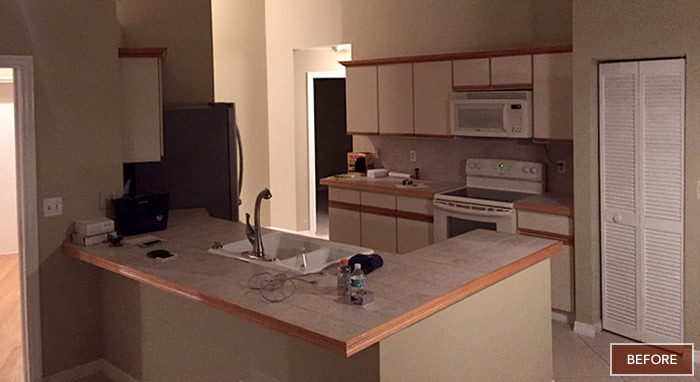 The homeowners couldn’t wait to see and enjoy their new space! The island, which has become a meeting place and central focus for the whole family.